If you want to increase your video views AND brand exposure, this guide is for you. 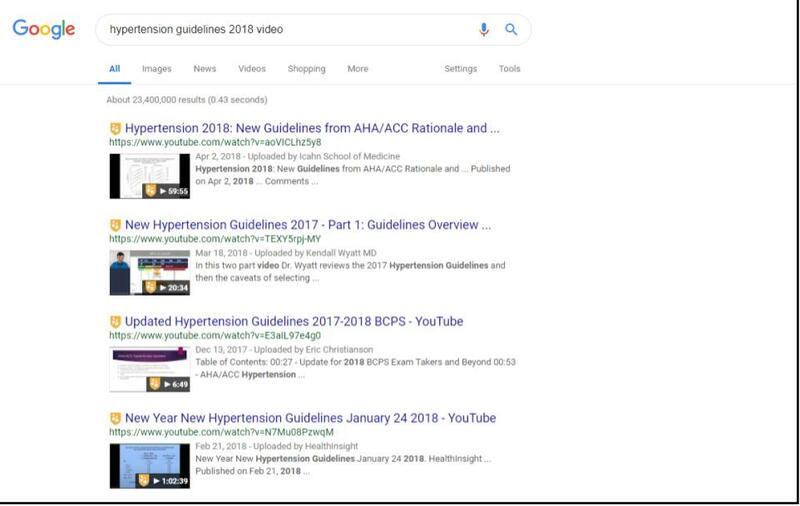 This guide will walk you through how to have it all – how to optimize your onsite videos for discovery via the video tab in Google search, and how to optimize your YouTube videos for discovery in Google search and on YouTube. It’s comprehensive, so if you’d like to just download the whole guide, grab it here. Goal 1: Optimize for organic search discovery, Google’s ALL tab (Google’s Universal Tab). 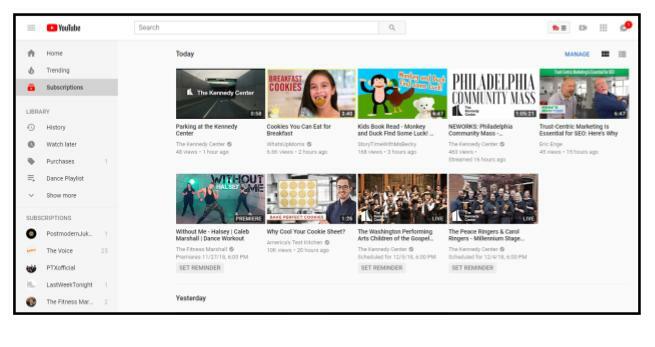 Goal 2: Optimize for organic discovery in search, Google’s VIDEO tab. Most marketers want to rank in Google’s default “all tab” (universal results). We call that “Goal 1” in the first screenshot above. If that’s your focus, you need to be aware that the videos that are surfaced as a result in the top ten in Google (universal results) are actually links to YouTube videos. Some SEO studies have seen as much as 90% of the videos shown in search are YouTube videos. 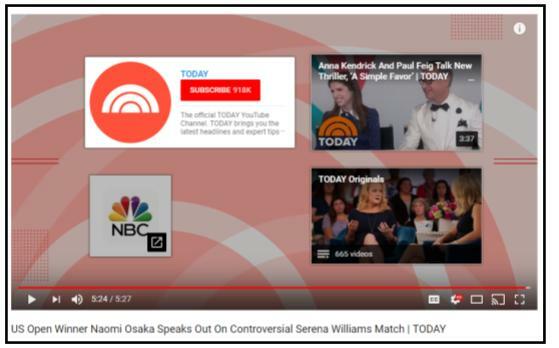 Videos displayed in universal results can also be shown in a video carousel, in the top news stories, and/or as a featured video snippet. It’s a competitive space to play in. The third goal is working on getting your YouTube videos ranking better in YouTube (screenshot #3 above). While those searchers who discover YouTube videos are not directed to your website, you will be able to increase the overall views of your videos. Only a low percentage of them will click to your website from YouTube, but you can encourage them to subscribe to your YouTube channel (where they will be notified of new videos). YouTube might not deliver clicks immediately, but it’s a great tool for driving overall brand awareness. As you set your video optimization goals, it’s important to know that the top result in Google is usually NOT the top result in YouTube due to the difference in search intent. It’s best to think of Google results and YouTube results as two different beasts. There are different strategies required for ranking in Google with your video vs ranking in YouTube with your video. Ultimately, if you want to both rank in Google Search and increase the views on the video in YouTube, you can follow the template set by Moz’s WhiteBoard Friday videos: They post a Wistia video on their site and then post a YouTube video. 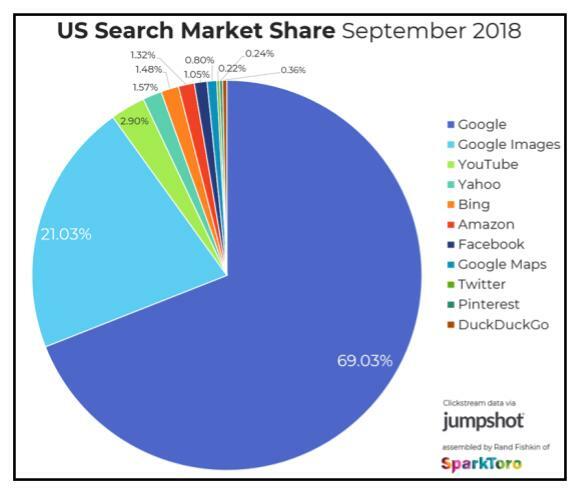 Where do people search more – YouTube or Google? And those searchers are searching more from their mobile devices. YouTube is similar to Google in that more than half of YouTube views come from mobile devices. If you want to rank on YouTube, you need to know how the algorithm works. 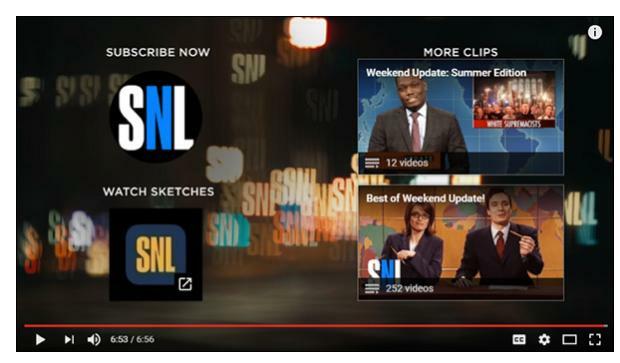 YouTube wants to promote content that encourages more people to stay on YouTube so that they can show more ads. Like Google’s search engine, search on YouTube strives to surface the most relevant results according to keyword queries. 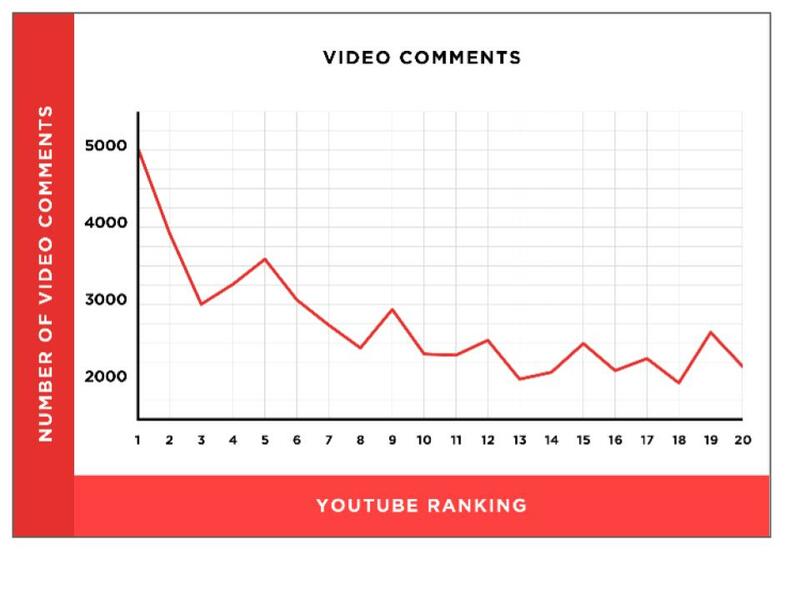 Ranking in YouTube is largely a black box. Its algorithm changes all the time (like Google’s) and they did 200+ updates in 2017 alone, AND use machine learning to surface videos for users. Other than the tutorials that you can find in the YouTube Academy, we are left with a few SEO industry studies. 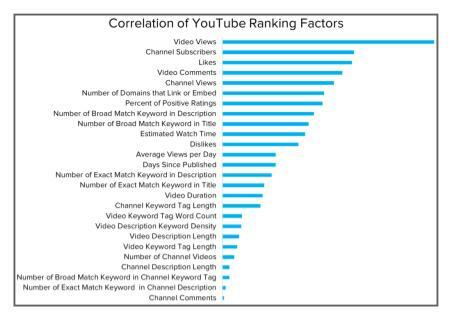 The two most comprehensive studies about YouTube ranking factors are by Justin Briggs and Brian Dean’s. This is the amount of the video that a viewer has watched. If more people make it through your video than your competitors, then your video will perform better than your competitors. 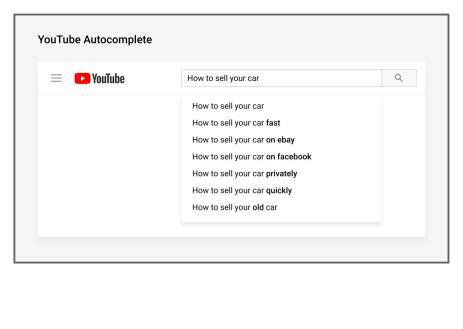 The first way for you to get started doing YouTube keyword research is to just start typing in the YouTube search bar. Note what videos come up for the terms you are targeting. Do they have a huge number of views and come from channels with a large subscriber base? If so, then those terms might be too competitive for you to target. Also, take a look at what is ranking in YouTube in relation to content type and length of the video as it should tell you quite a bit about how you should structure your video to have the best chance for ranking. 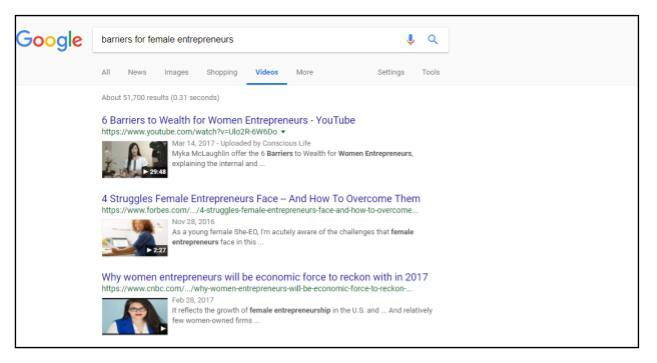 Below is an example for the search “female business owners”. Note that the top ranking videos have thousands of views and come from established channels. The top video comes from a channel with over 1.5 million subscribers. The top 4 channels all have over 50 million subscribers. If your channel doesn’t have that many subscribers, maybe you should target a different keyword. 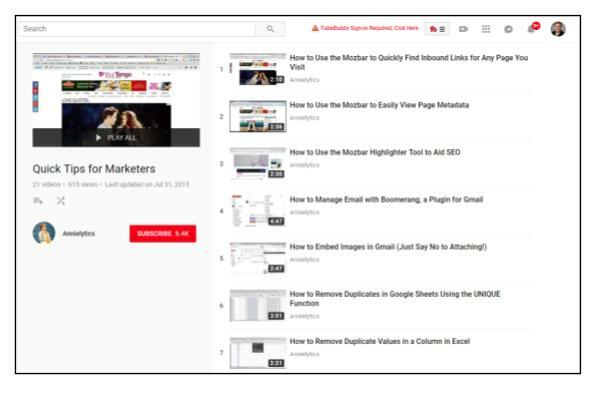 Here are some other tools you can use to conduct YouTube keyword research. Instead of manually entering keywords one-by-one, this tool searches for hundreds of variations of your keyword automatically, resulting in hundreds of autocomplete suggestions. To download your keyword options, you’re going to need to purchase a plan. 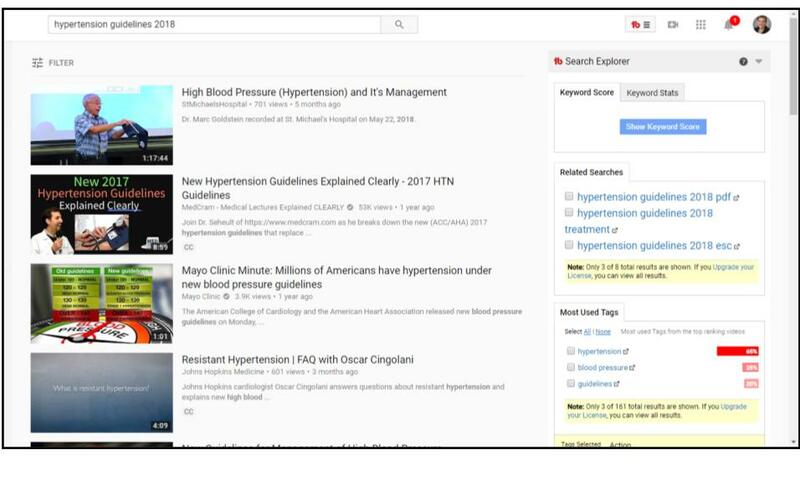 There are also keyword research functions built into two popular YouTube management systems: VidIQ, and YouTubeBuddy. 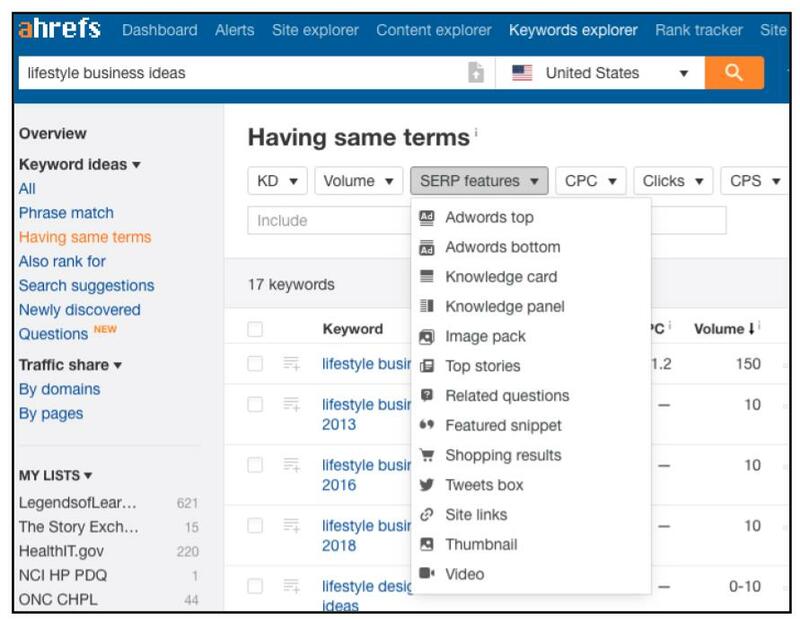 In SEMRush’s keyword magic tool, use the advanced features, then select “video”, “featured video”, “top stories” or “carousel” as a SERP feature. 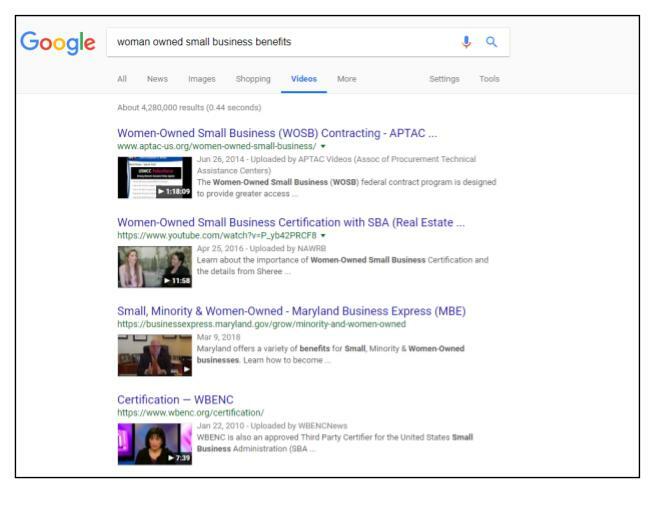 Now you have the keywords related to small business where a video result is triggered. Note that the news result does not guarantee video results, but often news results include video. When you create your video, make sure that you’re recording it in HD and saving it in a format that can be played on mobile. 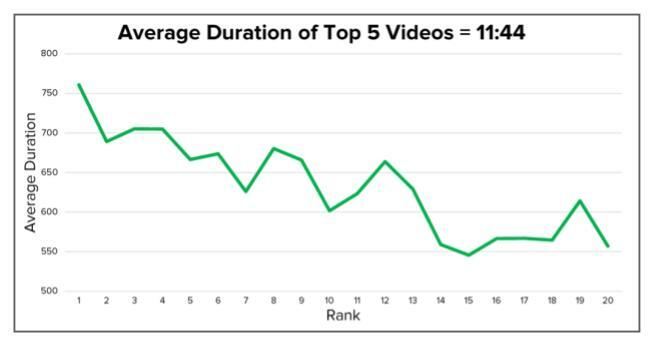 The Backlinko study also found that high-definition videos dominate YouTube’s search results. In fact, 68.2% of videos on the first page of YouTube are in HD. Put the keyword in your video script prior to recording, that way the transcript of the video will have your target keyword. Now, let’s look at how exactly you should craft those video titles and descriptions. 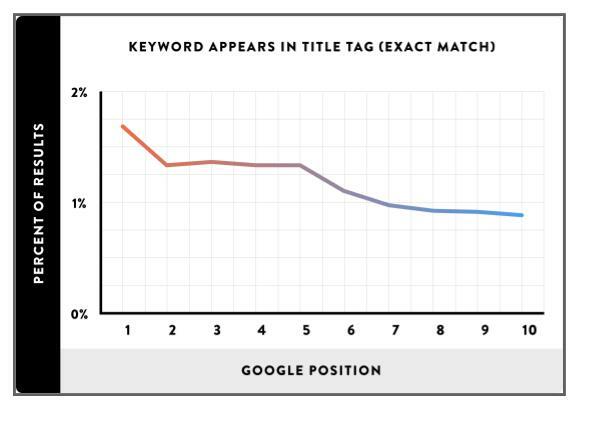 Keyword matching seems to be more important in YouTube than it is in Google search. It seems that by using the exact match of the searcher’s query in your video title, you rank a bit better. 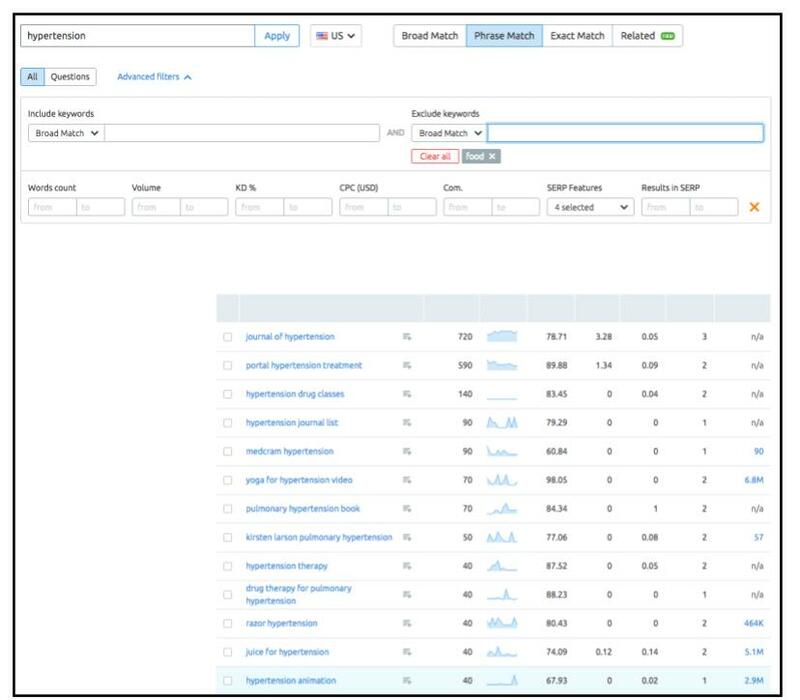 To find those exact match keywords you need to conduct YouTube keyword research by using a tool that will provide you YouTube data (more on those tools later). 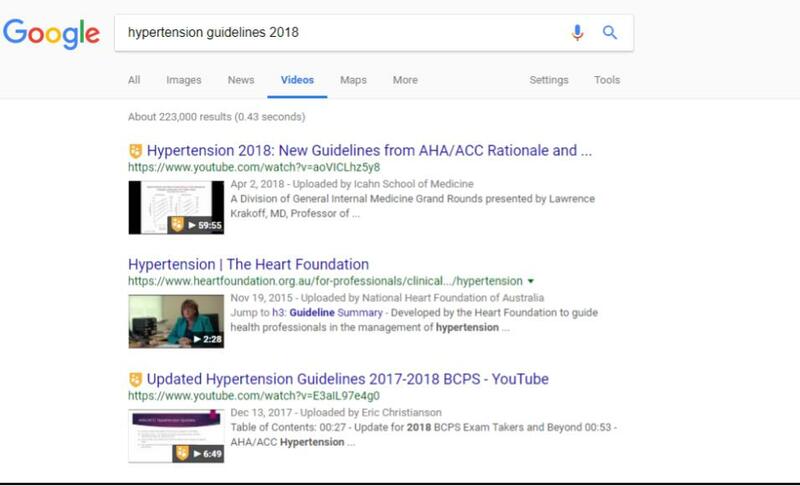 Just like a meta description, this often gets pulled into your SERP snippet and can assist in driving click-through rate. It should be 300-350 words in the description to summarize and describe your video and should mention a broad match variation of your keyword 1 to 3 times, depending on length. 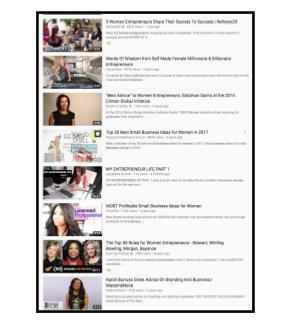 The description should list additional videos to watch, focused on your best content about the same or a similar subject matter as this video, creating recommendation clusters. It should also have a brief bio and/or list of social accounts, which can help build your distribution power. Include broad match variations of your keyword. 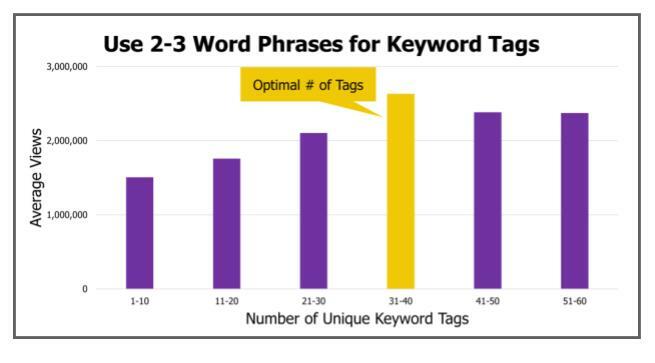 Include keyword tags phrases that are 2-3 word phrases. Justin’s dataset saw performing best were those with 31 to 40 unique tags, so go ahead and see as much of the character limit as you can without losing relevance. Keep keyword tags tightly focused around the topic. 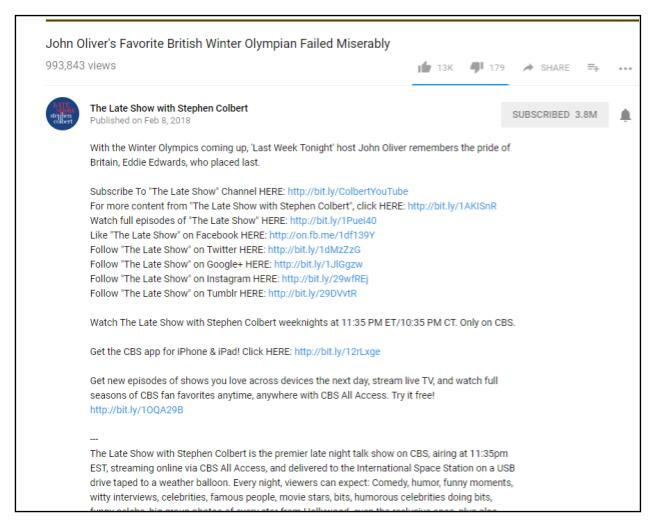 Search for relevant videos you’d like to appear next to as “Suggested” and analyze their tags, and use those keywords as your tags. Your video thumbnail is critical to the success of your video. It’s the only image that gives people a sense of what they’re about to invest their time in watching. It needs to look interesting and professional. At Wistia, they found that videos with custom human thumbnails receive a 30% higher play rate than those without. “Your video thumbnail is more important than your title because it determines whether or not people will click,” says Nottingham. 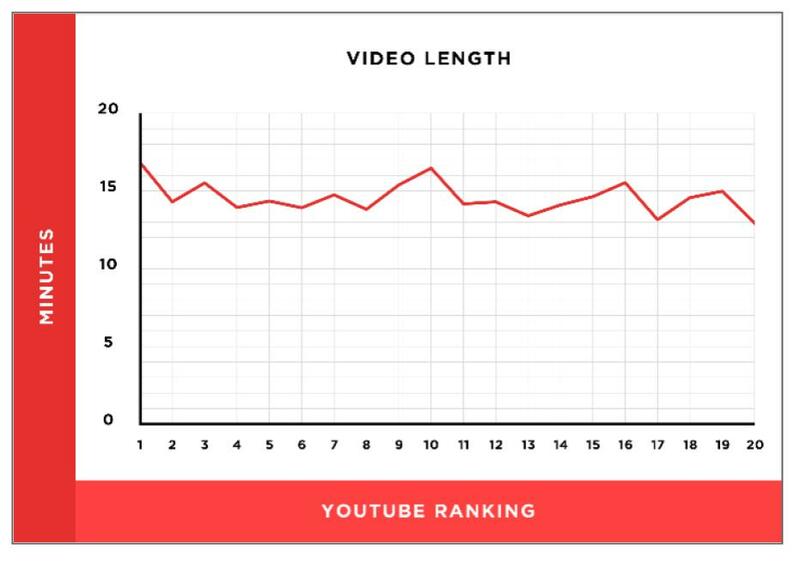 Video length matters. In 2015 Google was granted a patent for an algorithm that uses watch time as a ranking signal. This is also supported by both of the recent video SEO studies. 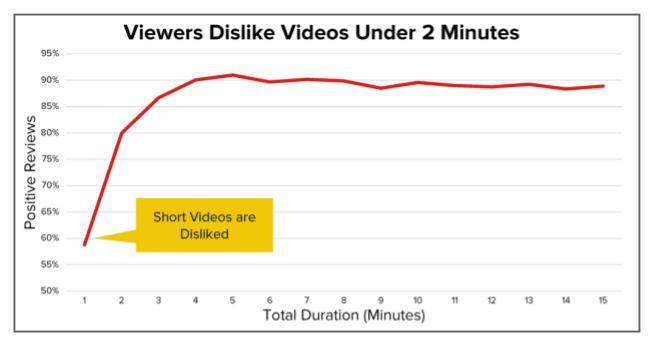 This Feb 2017 study by Backlinko, which analyzed 1.3 million YouTube videos, found that longer videos significantly outperform shorter videos, as demonstrated in the chart below. 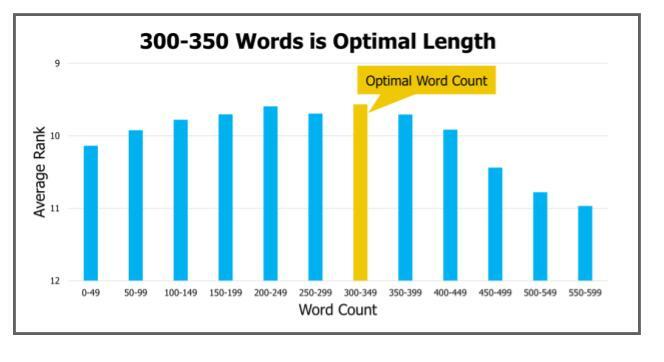 This focus on length also carries over to Google rankings. The average length of a YouTube video that is ranking on Google page one is 14:50 mins. The top ranking video is over one hour long. But if you’re optimizing for YouTube views (vs likes and rankings), the research shows that videos around 4-6 minutes get the most views and videos under 2 minutes don’t perform well. 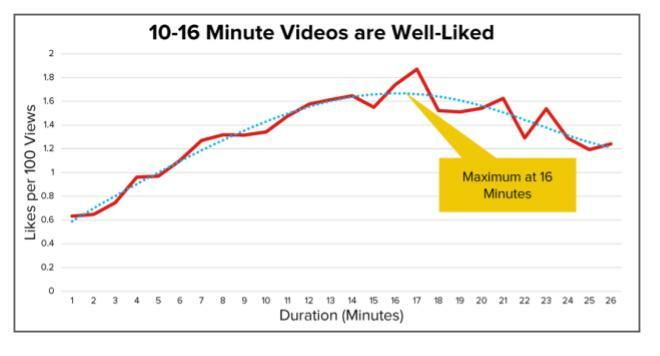 The most liked YouTube videos (based on the Briggsby data) is around 10-16 minutes. Videos under 2 minutes don’t perform well at all on YouTube. Did you know that In fact, 85% of videos on Facebook are watched without sound? Discovery Digital Networks (DDN) performed an experiment on their YouTube channel, comparing videos with and without closed captions added. They found that captioned videos enjoyed 7.32% more views on average. Captioning is really important in mobile video viewing environments where audio may be disruptive or inaccessible. Even Facebook found that captions increase video views by 12% compared with uncaptioned videos. If you are looking for inspiration of how to create videos without sound, Hubspot has a great list. 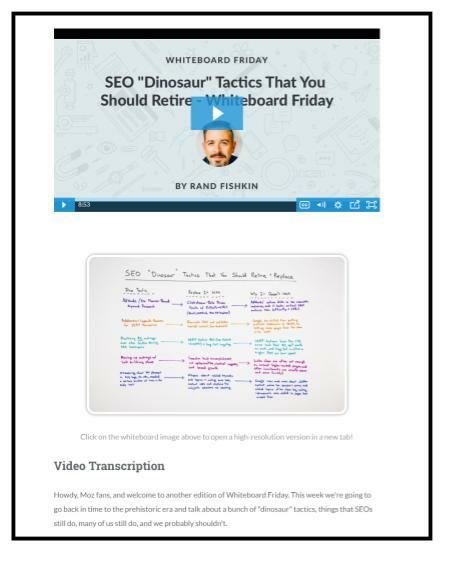 Once you have a transcript, add to your website’s video landing page and upload to YouTube. Since the end screen only appears for 20 seconds (which is quick), you need to make sure that you create an end screen that runs for 20 seconds, and add a card with your user instructions PRIOR to that end card appearing to give them time to click. This is the perfect opportunity to get them to watch another video (since overall watch time influences your video and channel performance) as well as instructions on how to click back to your website for more information about the topic, as demonstrated at the end of this video. 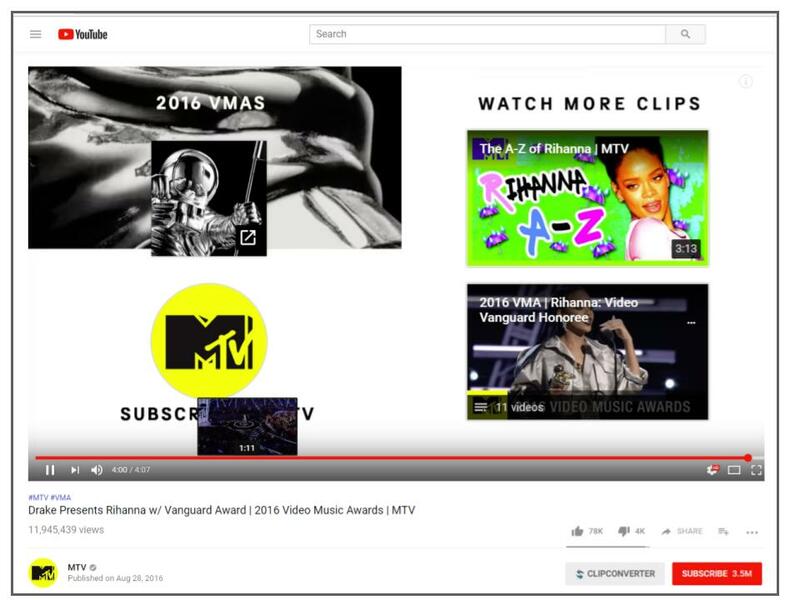 If you are developing a specific playlist and want to direct traffic to it, you should add a link to that playlist in the end screen of as many related videos as possible. First, consider the YouTube channel description. 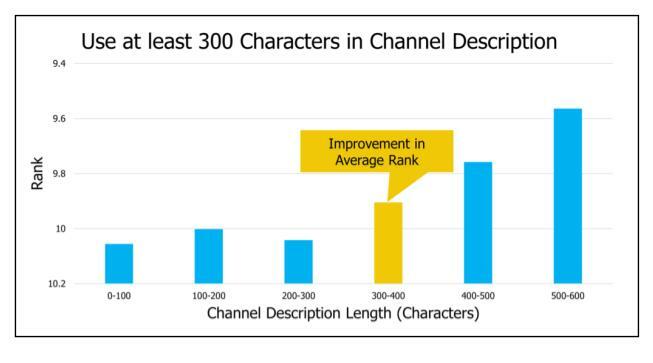 Based on the data, channel descriptions that have over 300 characters seem to perform better. Based on the Briggsby research, channels with under 1,000 subscribers perform significantly worse than those channels that are over that mark. Once you reach 1,000 subscribers, you can join the YouTube Partner program, so your goal should be to pass the 1,000 subscriber mark as fast as possible. You should make it easy for website visitors to subscribe when they visit your channel from their website! Use the YouTube provided channel link (instead of any other profile button) which sends the user to YouTube AND automatically subscribes them to your channel. Use calls to action in your video and descriptions to improve subscription growth. 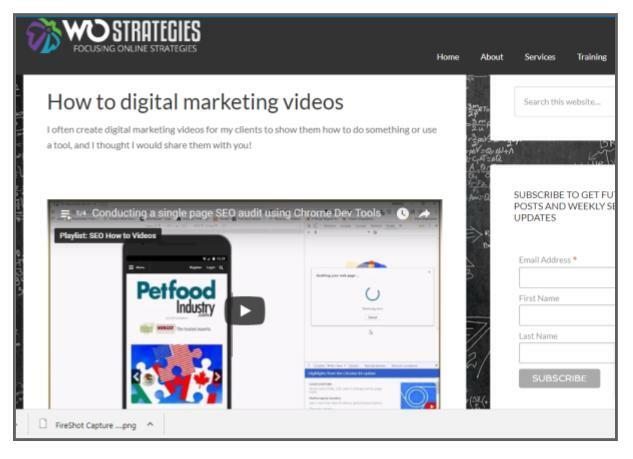 Keep your video subject matter tightly focused to encourage people to subscribe. Flip the link on your website to the YouTube Subscribe button. Email you list and encourage subscribers. Review your YouTube analytics to optimize subscription growth. Additionally, overall watch time for all of your videos in your channel matter, so work to improve all of the video watch times. Consider de-publishing low performing videos. Performance: How well the video has engaged and satisfied similar viewers, among other factors. Subscriptions feed, available on both mobile and desktop, is where you can see all recently uploaded videos from your subscriptions. We don’t notify all of your subscribers….We notify all of your subscribers who have rung the bell and then your most active subscribers after that … If they don’t ring the bell and they’re just subscribers, then we put them in an ‘occasional notification’ state, so that means they get algorithmically determined notifications. Your most active subscribers, users who are watching your channel and your livestreams, are going to get notifications as soon as you go live. To receive all notifications from a channel, users need to click on the bell icon to opt-in to receiving all notifications. To express the issues that they care about. To grow and nourish our relationships and evoke an emotional response. Does your content support those desires? You can add cards throughout your videos that prompt viewers to comment on your videos. It’s important to vote up and engage with people who comment on your videos. Video responses show YouTube that your video is popular and relevant. Replying demonstrates you’re approachable. Encourage comments by asking a specific question within your video. Explicitly ask people to comment. You should also interact with your audience in comments regularly. If you have an engaged Twitter or Facebook audience, let them know that you are “hanging out” in the comments section of YouTube and invite them to come participate. Once you get people commenting, make sure to mine your comments for market research on your audience. You can also use the content from the comments to develop other videos, either by featuring those comments and then answering them or using them to source topic ideas for future videos. If you have videos that naturally cluster around a particular topic, you should consolidate these into playlists. Ideally, the labels for these playlists would be driven by keyword research. This allows you to try to rank for terms that you haven’t targeted with your individual videos. Well-architected playlists perform well in search engines, can be shared and embedded into your site or others. They also show up in the recommended videos section of YouTube. You can add both your videos and other videos to playlists, and the YouTube instructions on how to set them up are here. You can also add collaborators (other YouTube accounts) that can add videos to your playlist. Make sure to create a catchy (and optimized) title and description for your playlist. 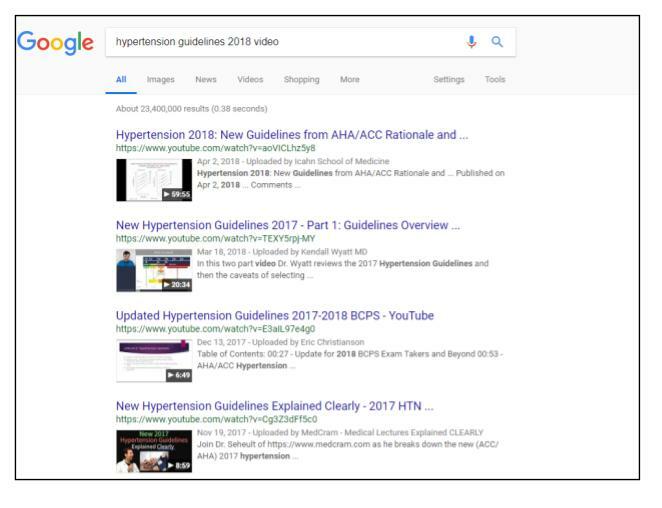 Video pages without text can appear as thin content and potentially put your site at risk for a Google penalty. Each video landing page should have descriptive text, an optimized meta title and description, one embedded video, and a video transcript. If you are embedding a YouTube video, make sure to adjust your embed parameters to maximize watch time from your embeds by allowing related videos or defining the next video. One study by Liveclicker compared 37 web pages before and after adding transcripts. Pages with transcripts earned on average 16% more revenue than they did before transcripts were added. This American Life (the radio show) enjoyed a similar boost. When they transcribed their entire audio archive and posted transcripts online, they found that 6.26% of all unique visitors who came from search traffic landed on a transcript page. 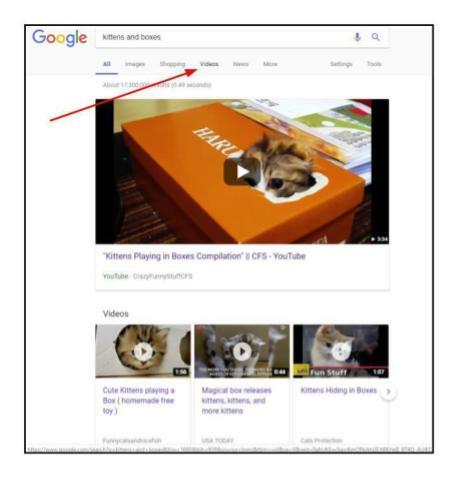 When you are embedding a video (whether from YouTube or Wistia) you should add Schema markup to help the search engine determine the content of the video. The relevant markup includes URL, length, name, description, thumbnail, and upload date. Google’s Webmaster blog has a for a step-by-step implementation guide. Inbound links to each video (the number of domains that link or embed your video) correlate with more video views and higher rankings. Here are our recommendations around how to effectively promote your videos to get additional views. Tell your list about your new videos or your new playlists. Simply mention “video” in the subject line and encourage them to share! As a side note, if you have an offer that would encourage someone to give you their email, you can also place links to that offer on your YouTube videos, descriptions, and end cards as a way to grow your email list. LinkedIn allows you to share both embeds of videos (from places like YouTube) but also will allow you to upload native videos. You can use your profile, LinkedIn Publisher and your updates as a way to share your videos to your LinkedIn followers. We would actually not recommend adding your YouTube videos on Facebook considering that uploading native videos perform better. Search Engine Journal ran a test to see if Facebook was favoring native videos over videos embedded from third-party video embeds. Their study concluded that native videos received twice the reach, get twice as many likes, three times more shares, and seven times more comments. When you do upload natively to Facebook, make sure to use captioning: Facebook found that they increased view time by 12%! You should also use your videos as a part of an answer to a forum user’s question – you can link or embed your videos on places like Quora or Reddit to increase the number of embeds of that video and to increase its video views. Pre-roll ads on YouTube, in particular, are a great way to spend your marketing budget as you only pay when someone watches part of your video ad. The activity off those ads (the watch time and engagement on your promoted videos) count toward your channels metrics, so they help boost your organic rankings too! For your to analyze and optimize the performance of the click through to your website from YouTube, or the performance of your End Screens (or any other link you put on YouTube), you’ll want to keep track of all website visitors who come to your site through a link you add to YouTube. Here’s a UTM parameter generator that can generate the links for you. Just keep in mind that Google analytics is not case sensitive, so you need to label each source and medium EXACTLY the same every time you generate a link that uses them. Otherwise, you create two lines in your Google Analytics report. You can learn more about the havoc that would create here. 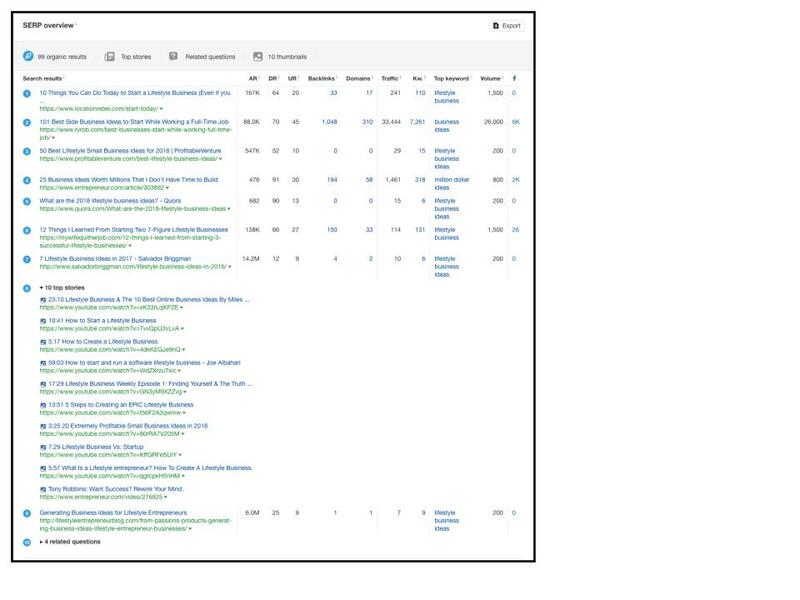 Once you’ve tagged your URLs, you can view that data in your Campaign reporting Google Analytics. Watch your analytics and optimize for videos with best watch time. You need to measure your performance to improve it. Click through on your UTM tracked links to your website. If you’re looking to track your YouTube or Google rankings, you’ll need to purchase a tool. YouTube Buddy provides YouTube and Google keyword rankings. RankRanger will allow you to track the rankings of your YouTube videos on YouTube, Google web and video search. You can also try this ad hoc YouTube Rank checking tool, for free. To get started tracking your metrics monthly, it’s easiest to set up a dashboard, and you might want to check out and modify this Google Data Studio report. Then, to find the keywords driving traffic to a particular video, click on the video analytics. If you click on YouTube search, you can see what keywords you’re ranking for. 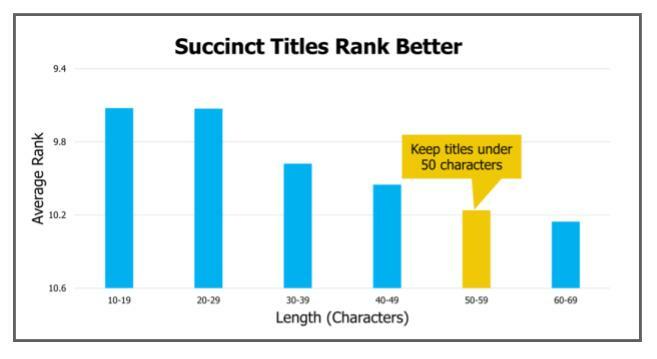 If you add those “missing” keyword to your title and description, you can get even higher rankings for that term. 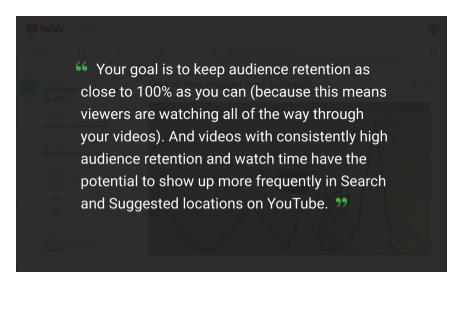 You need to ensure that viewers watch as much of your videos as possible. Keep an eye on low performers and implement some of the techniques mentioned here to improve that metric. Generally, you’re going to want to keep your videos concise and make sure that they answer your searcher’s intent. Consider starting the video with a summary of what the view is going to cover – your hook and get your audience engaged from the beginning. 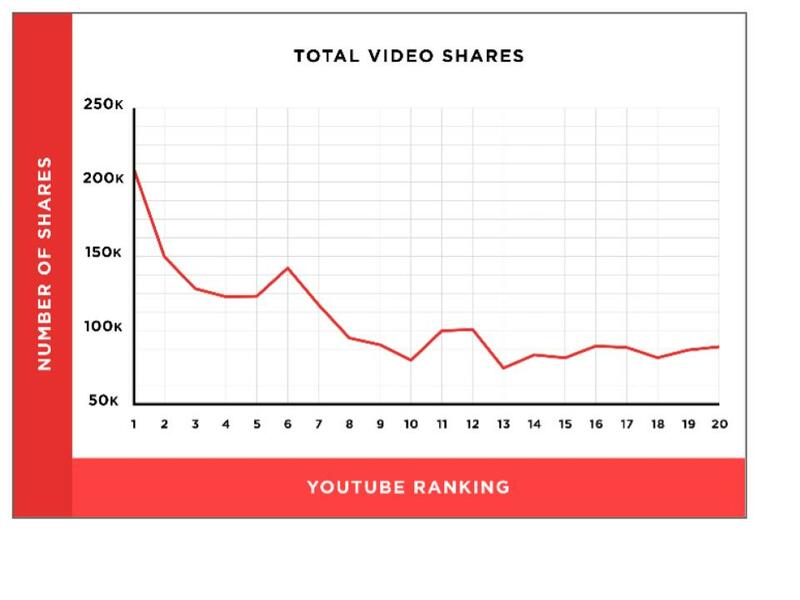 Check to see when your audience drops off on your video. Are there moments when your energy dips and is that where your audience drops off? Think about previewing things that will come up later in the video when you develop your video script. By providing little teasers, you should be able to keep your audience hooked and watching to find out the answer. Similar to doing SEO for content you own that you want to rank in Google, increasing the views of your videos takes consistent work over time. Decide what your goal is for your video marketing strategy. Do you want to rank in Google (all or video tab), rank in YouTube, or just increase your number of video views? Make sure to conduct keyword research and label your videos effectively: In the video description, title, and ideally video script before you record. Encourage social engagement with your video. If the comments have been quiet for a few days, encourage your Facebook and Twitter followers to join you in the comments section to ask questions. Channel engagement and watch time matters. Work to grow your subscriptions to get over that 1,000 subscriber mark. Monitor your video watch time and retention. YouTube places great importance on how long someone stays through to watch a video and longer videos tend to do better. If you want to measure your rankings over time, you’ll need to invest in a tool. Sign up for YouTube’s Creator Academy trainings and blog post updates to stay on top of changes.